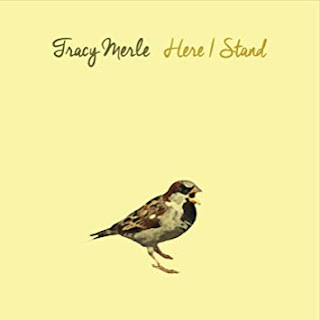 Designed as an homage to early sixties country and blues recordings, "Here I Stand" is the debut album from Tracy Merle. Staunchly rooted in the past, the recording is mono and the style is proudly retro. This is music for people who remember. Marty's review: In these modern times of digital technology and studio productions that can seem a little over-produced, it is so refreshing to listen to an album that sounds like it has come from the past but still has that contemporary touch. Tracy Merle's impressive debut has everything one would ask for in an album that is listenable from start to finish. 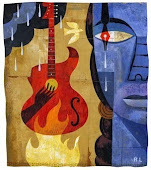 A mix of very stylish blues guitar licks, a solid back beat, Tracy's harmonically-rich vocals and clever songwriting, the 11 original tracks each shine and flow from one to the next in a cohesive style that makes for an enjoyable listening experience. Fans of retro style as well as contemporary roots music will more than appreciate this collection of lush and seductive tunes. Favorite tracks are the country-blues of "Never Quite Got Over You", the 60's style of "Love At First Sight" and the rocking "My Time".